Becoming a Public Relations Writer is a comprehensive guide to the writing process for public relations practice. Using straightforward, no-nonsense language, realistic examples, easy-to-follow steps and practical exercises, this text introduces the various formats and styles of writing you will encounter as a public relations practitioner. A focus on ethical and legal issues is woven throughout, with examples and exercises addressing public relations as practiced by corporations, non-profit agencies, and other types of organizations both large and small. 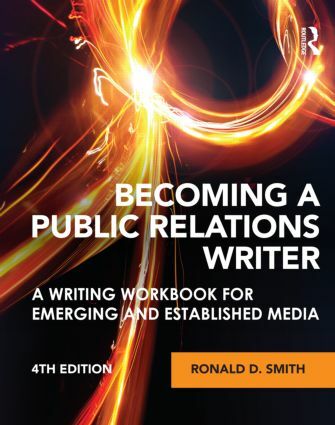 In addition, the book offers the most comprehensive list of public relations writing formats to be found anywhere---from the standard news release to electronic mail and other opportunities using a variety of technologies and media.